Palakkad is the land of Palmyras and Paddy fields. It is the chief granary of Kerala, often called the Gateway of Kerala. 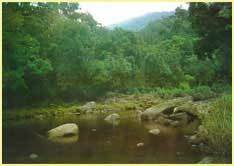 Palakkad lies at the foot of the gigantic Western ghats on the border of Kerala. 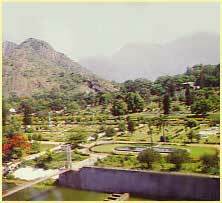 This district with mountains, forests and fertile valleys, rivers and mountains streams are rich in flora and fauna. Palakkad is known for its historical background and the remnants of Tippu Sulthans Fort are still maintained. The famous tourist spot of Malampuzha is situated just 8km away from Palakkad Town. Its a place of tourist importance. Some of the picnic spots are Tippus Fort , Malampuzha - Garden, Snake park, Aquarium, Rope way, Rock garden and Fantasy park , Loknayak J.P.Smrithi Vanam and Deer Park, Mayilladumpara - Cholanoor Peacock Sanctury, Kanhirapuzha dam, Mangalam Dam, Pothundy Dam, Seetharkundu water falls near Nelliyampathy, Meenkara dam, Parambikulam wild life sanctuary and boating, Chulliar dam, Killikurrussi Mangalam, Meenvallam, Siruvani, Silent Valley National Park and Attappady ghats.